oips-1.mp3 (11 min 13 sec, 6.5 MB) . oips-2.mp3 (11 min 06 sec, 6.5 MB) . 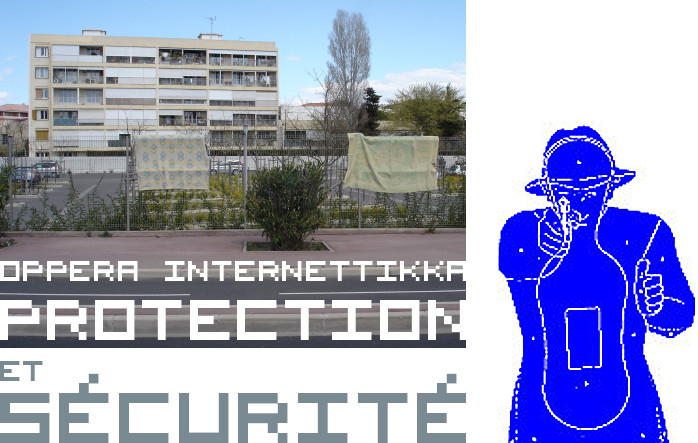 Oppera Internettikka - Protection et Sécurité explores the poetics of a contemporary sound form -- opera as a sound event for the audience in the form of a live internet audio broadcast. In that way it combines the notion of the world wide web communication protocols and classical artspace -- an opera house. Opera is a very strictly coded form of art with a lot of passion, and internet is a lonely place of solitude and intimate communication which is becoming more and more fragile, dangerous and suspicious. Three artists with specific roles are performing a complex structure combined of sounds, voices, noises, internet audio files and sound-manipulating machines. Co-produced by bram.org (France), Intima Virtual Base (Slovenia), Association Panoplie (France), 2006. 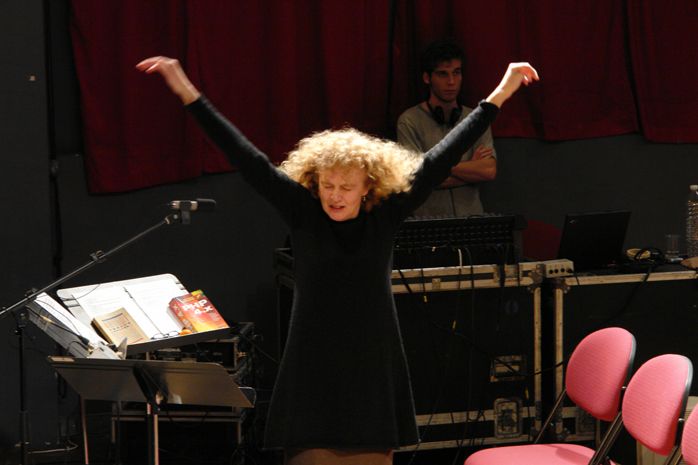 Executive producer: Elisabeth Klimoff (Panoplie Artistic director). Project supported by Ministère de la culture et de la communication (DRACLR), la Ville de Montpellier, le Conseil Régional Languedoc Roussillon, The Ministry of Culture of the Republic of Slovenia, Rhizome.org 2006-2007 Commissions / [video], Languedoc-Roussillon Cinéma, Montpellier Agglomération.